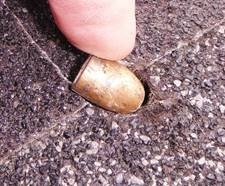 Bullets can and will leave holes in a roof. 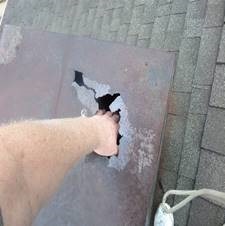 This chimney top is rusted through! 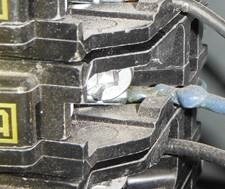 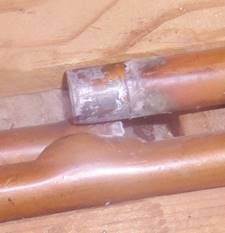 The string repair of a cracked waste water pipe is not an acceptable repair technique. 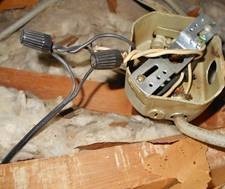 This was hidden in a crawl space under the home. 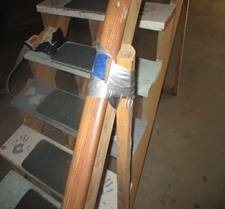 Duct tape repairs are not always best! 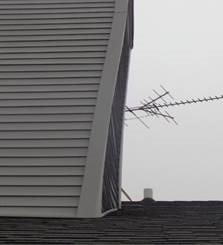 There are safety issues here for anyone who might be going up or down the stairs. 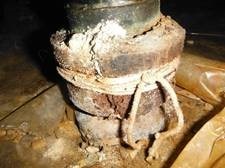 Poor installation of a furnace vent pipe. 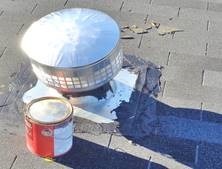 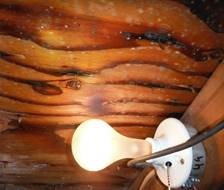 This will leak and cause damage to the interior of the home.